Popcorn is one of the easiest things in the world to make at home, yet so many people still insist on microwaving their popcorn in those bags o’ chemicals since it’s supposedly more “convenient”. 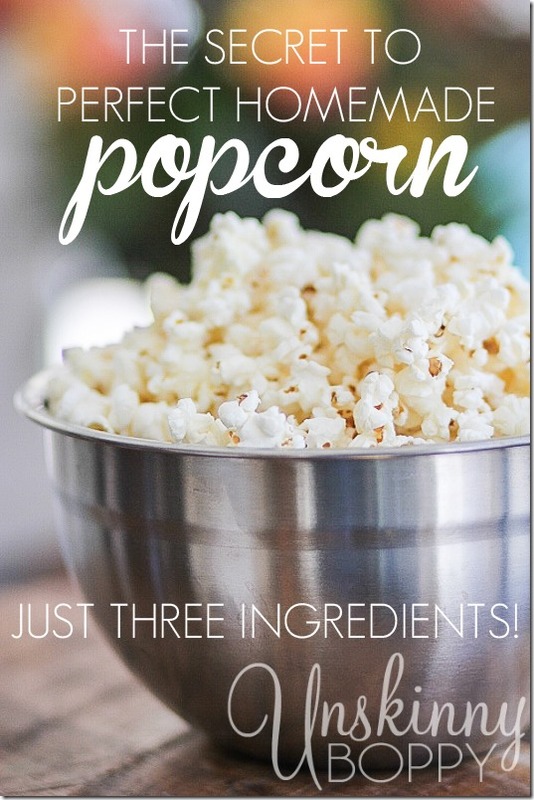 I am here today to show you just how simple it is to make your own popcorn at home, plus it tastes like a million times better than the stuff from a bag. When I was a kid my mom was constantly making homemade popcorn and tuna salad for lunch. I still crave that combo to this day. Directions: Turn your stove to high heat and melt the coconut oil. When it’s melted add the popping corn, and let it sizzle for just a minute. When the first kernel pops, put a lid on it and shake, shake, shake the pot back and forth over medium-high heat until all those kernels start blooming open. 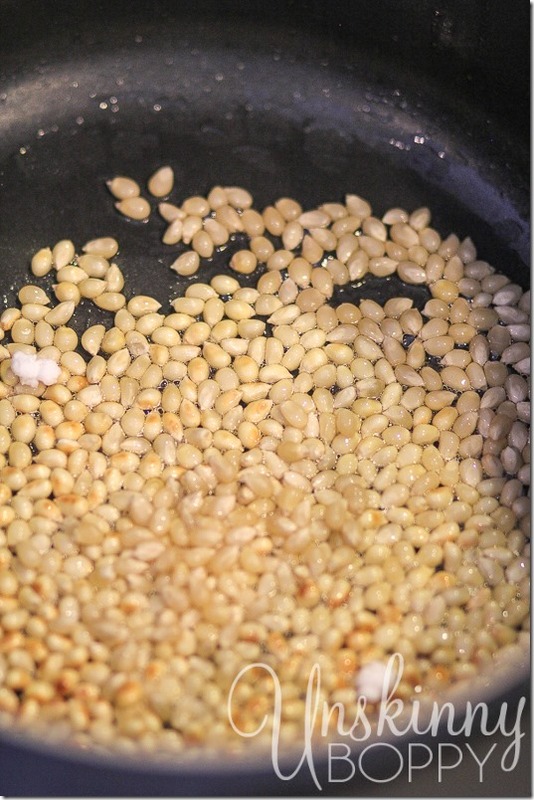 The key is to shake the kernels around continuously so they don’t scorch, so keep it moving, folks. 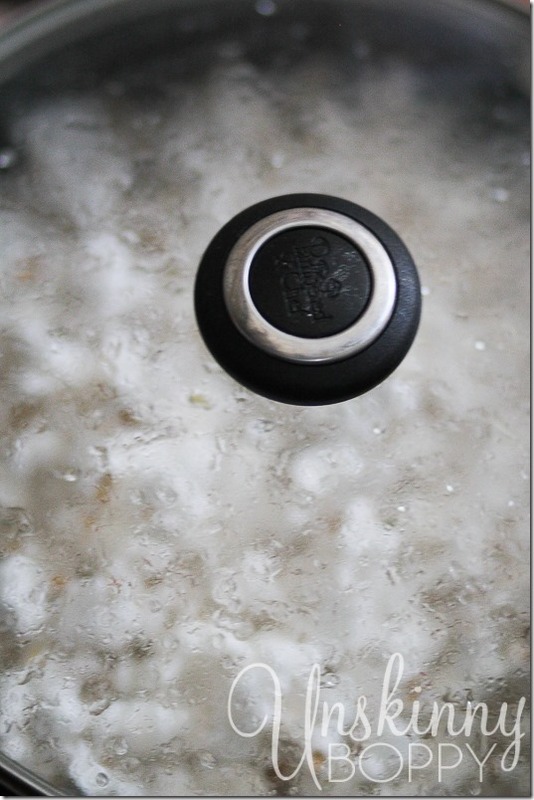 Once the popping becomes rapid and the pot is getting full of popcorn, remove it from the heat so it doesn’t burn. One tip on popping time: It’s not like microwave popcorn where you wait until it stops popping to take it out. It takes some practice to figure out the timing of when its done, but as long as it’s not sitting on direct heat and scorching, let it pop for a while until it starts slowing down but is still popping a bit, then take the lid off and let it start cooling down. I like to put it into a bowl while it’s still piping hot, but sometimes a stray kernel will fly across the room or pop in your face. Use caution or suffer the wrath of the sizzling kernel in yo face!! And there you go! Perfect popcorn! Add as much or little salt as you’d like. 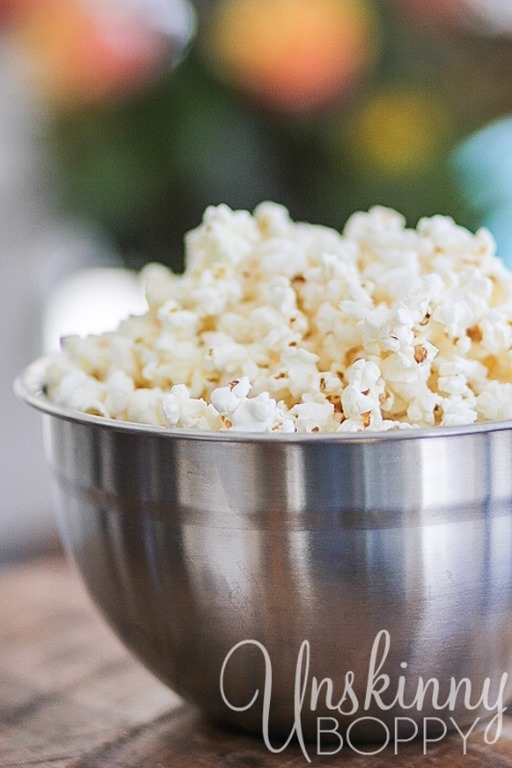 If you really want to take it to the next level and possibly undo all the health benefits of cooking popcorn at home, pour some melted butter on top and add a little more salt! It’s PERFECTION. I promise. And, ok, make that four ingredients. 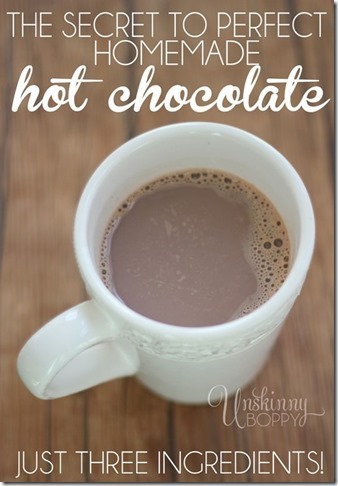 If you liked this post, be sure to check out how to make Perfect Homemade Hot Chocolate! Thanks for fabulous post. I never knew you could use coconut oil! Fabulous! 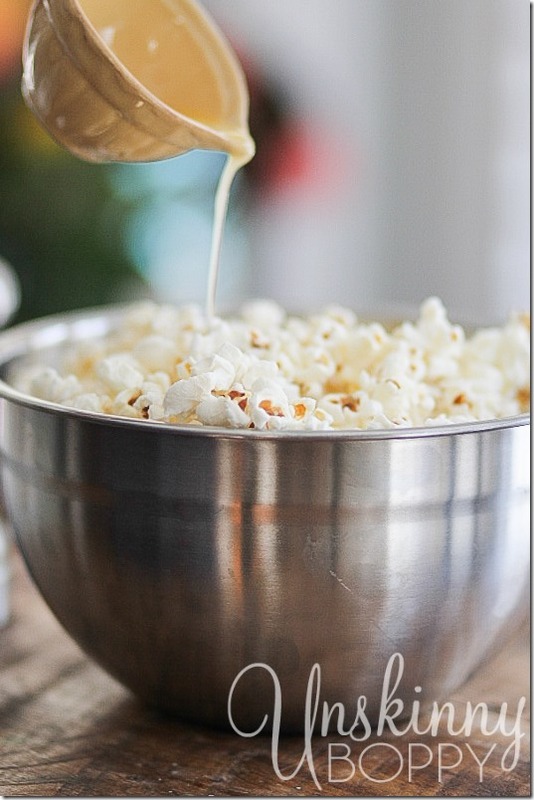 Great practical popcorn tip! The ones in bags are convenieng if you only have a microwave like an office pantry. Your way is not hard to make and more natural. Those in bags give off taste that can be unnatural ;/. Let’s go poppin’! Great practical popcorn tip! The ones in bags are convenient if you only have a microwave like an office pantry. Your way is not hard to make and more natural. Those in bags give off taste that can be unnatural ;/. Let’s go poppin’! This is the only way we make popcorn at our house. There is no comparison to the bagged crap. Wanna take it up a notch? Layer it in a bowl with shredded cheddar and nuke it until the cheese has melted. HEAVEN I tell ya. Oh Beth this sounds so easy! I can’t wait to try it! What kind of pot do you use for this? It’s winter and my coconut oil is solid. Do I need to melt the solid or measure level spoonful of solid the same as liquid?